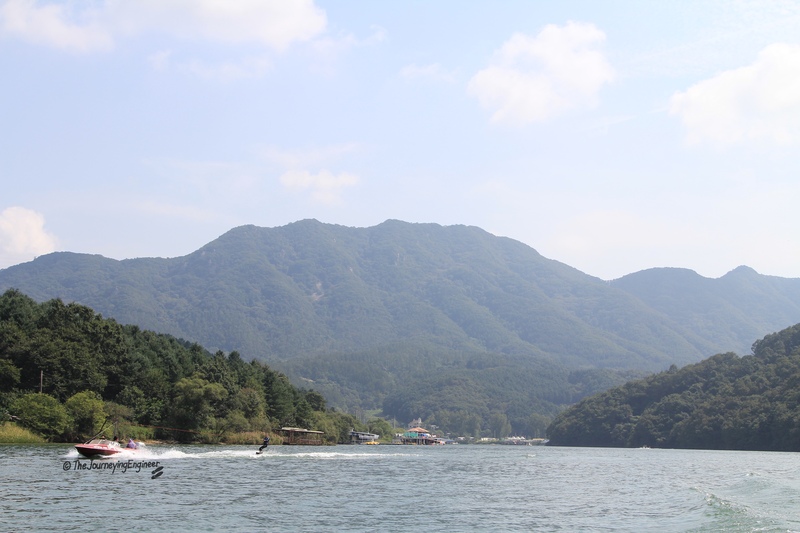 For the past 3 summers, in 2012 – 2014, I was occasionally wake boarding in the rivers of South Korea. 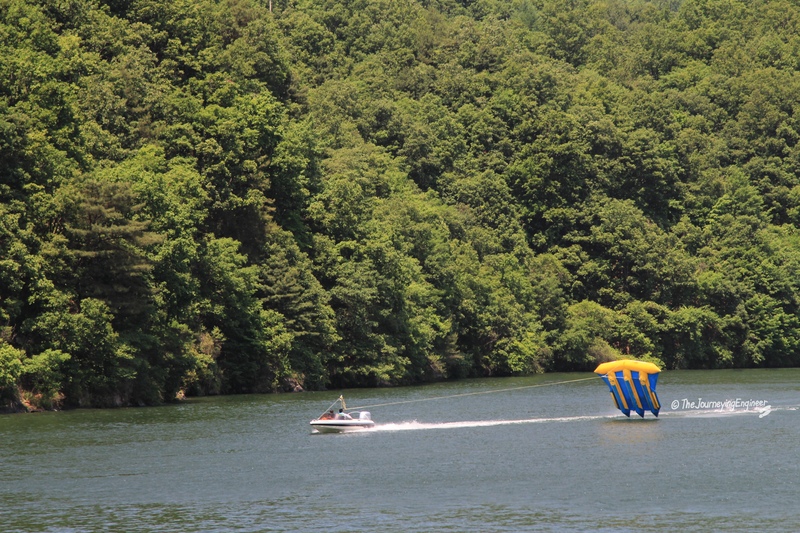 Thanks to one friend, I got to retry this sport and really learned how to do it! Retry? Well, I did quite badly trying it in the Philippines. Not just in 2009 at Camsur Watersports Complex (CWC) in Naga, Camarines, Sur, as shown in the video. There was one other wake park in the country at the time: Lago de Oro in Calatagan, Batangas. I tried it earlier, in June 2008, and sucked. So eventually learning it properly a few years later was to me, overcoming a setback. 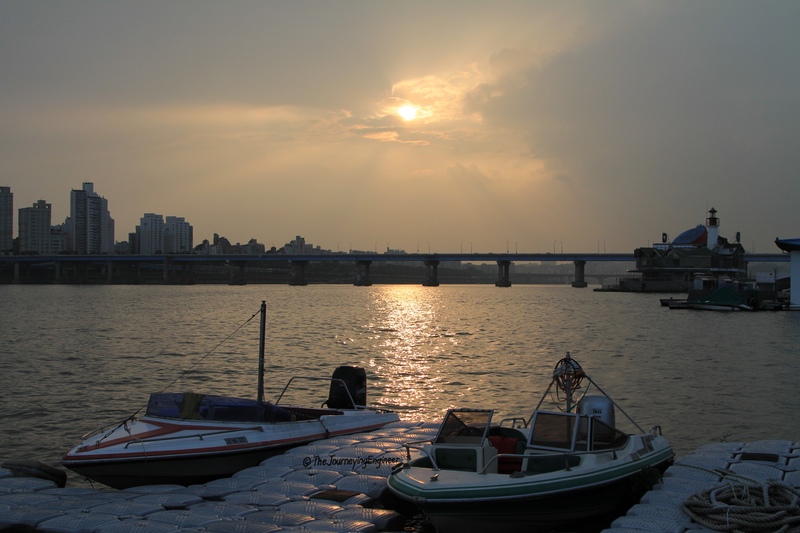 Water sports can be done in Hangang (Han River) that cuts across the mega city which is Seoul. 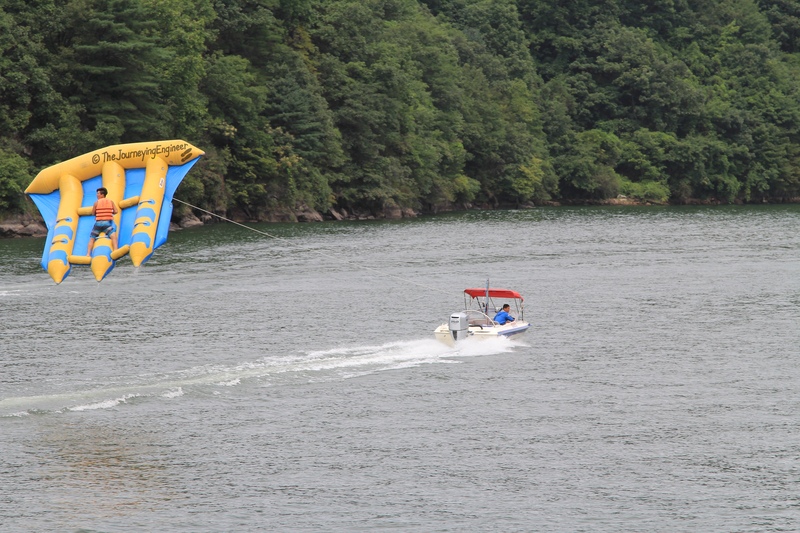 Also, when you travel 1-2 hours upstream, in the Gyeonggi-do (Province), you can enjoy the sports with better views. The county of Gapyeong is a popular spot. I first tried it in Yangsu-ri, also in Gyeonggi-do, but nearer Seoul. 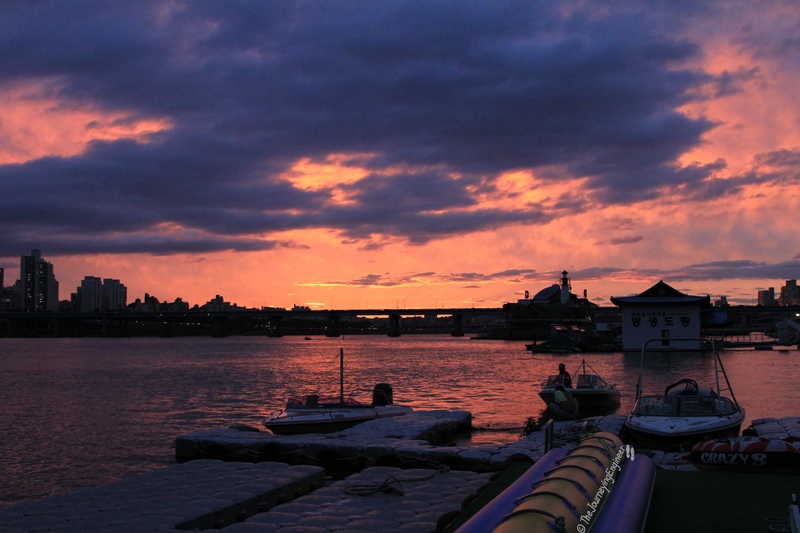 Later, my friend changed to a better, but farther location: in Cheongpyeong Lake. It’s actually just an enlarged part of the river. 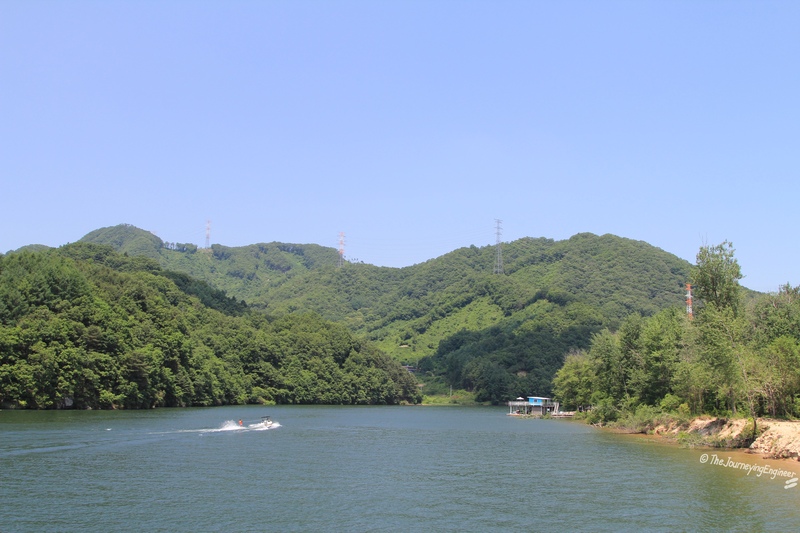 Another alternative is Daesong-ri, which is a bit farther than Yangsu-ri, but nearer compared to Cheongpyeong Lake. Do it alone, and you’ll definitely fly!